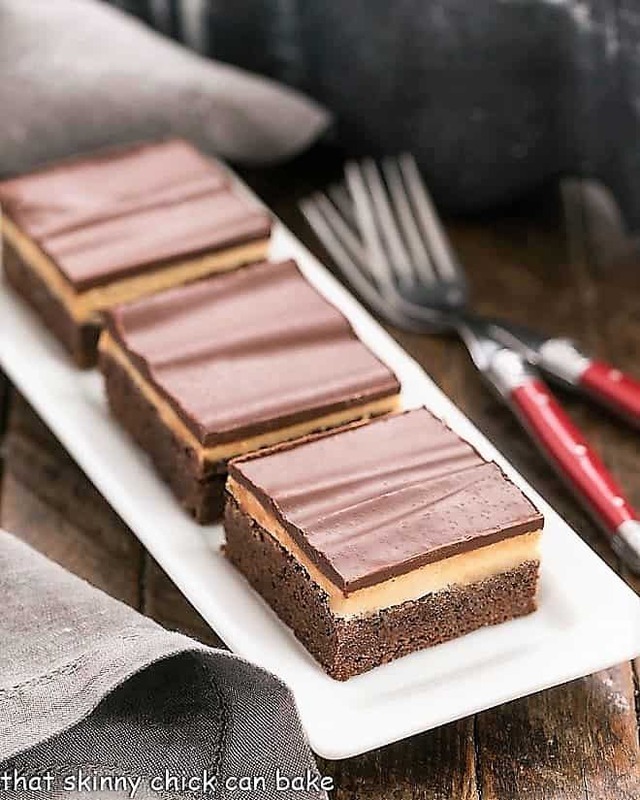 These Peanut Butter Truffle Brownies combine that irresistible pairing of chocolate and peanut butter in a most delicious, irresistible way! 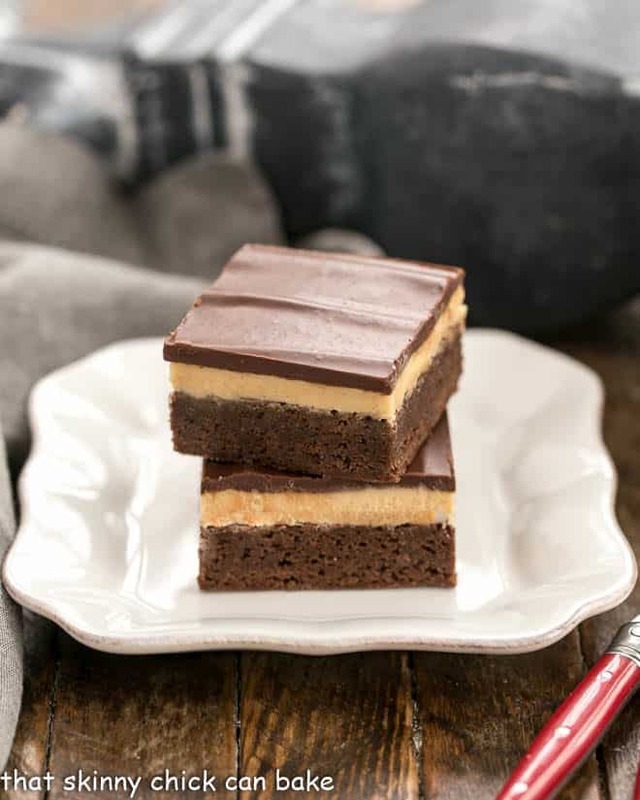 Brownies are topped with a peanut butter truffle filling then finished off with a silky ganache topping. You can put those Reese’s Peanut Butter Cups back in the bag for now and indulge in these marvelous peanut butter brownies instead! I first made these peanut butter brownies back in 2011 for a weekend reunion with some fabulous friends from college. These were those sorority sisters with whom I ate bags of chips and M & M’s. We also were known to make nachos in the sorority microwave after coming home late from the bars. I knew they’d be perfect for our tailgate. Cut into squares and packed up in a cooler, these peanut butter truffle brownies made their way across three states to a homecoming football game at my alma mater. I paid about as much attention to the game that day as I did in college. The hubby is still shocked I went to the Rose Bowl and Peach Bowl back in the day, too. As with every recipe, read through the instructions before starting to familiarize yourself with the procedure. Also double check that you have all the ingredients on hand. Usually I pull out the butter and eggs before I start baking. Since part of the butter is melted in the microwave, only the butter for the filling and the eggs need to be brought to room temperature. For both the brownie batter and the peanut butter filling, I use an offset spatula to spread each layer out evenly. This makes for a prettier presentation. The first time I made this recipe, I used a bag of semi-sweet chocolate chips for the ganache topping. Since then, I’ve found I like the way Ghirardelli chocolate bars melt better than chocolate chips. Feel free to use 12 ounces of either chocolate chips or chocolate bars. If you use the chocolate chips, you may need to add 2 tablespoons of cream to the mixture. As with most of my brownies and bars, they cut best after some time in the refrigerator. 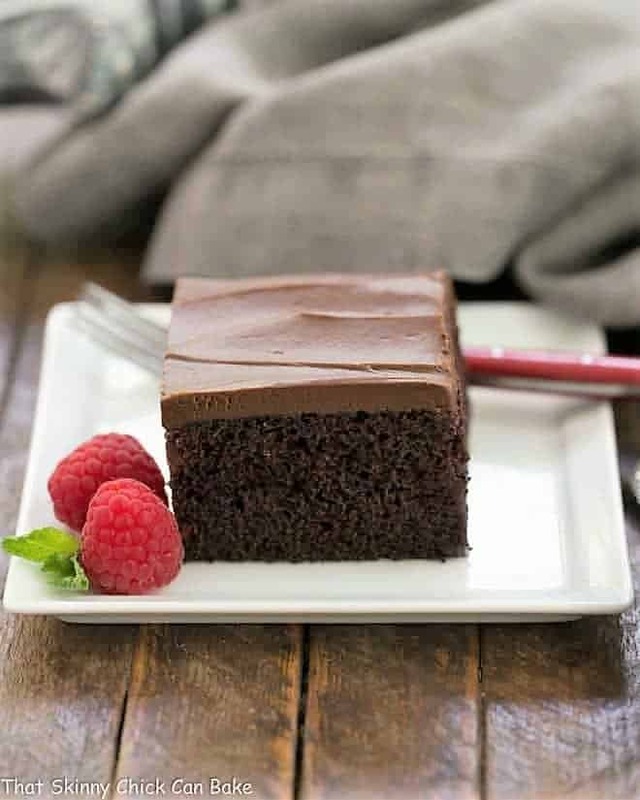 Use a warm, dry knife to easily slide through the ganache topping and wipe the knife off between cuts. For more details, check out my post on How to Cut Perfect Cookie Bars. 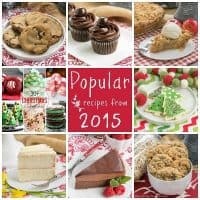 Better Than Reese’s Peanut Butter Bars, Stuffed Peanut Butter Rice Krispie Treats, Frozen Chocolate Peanut Butter Pie, Tagalong Cookie Bars, and No-Bake Chocolate Peanut Butter Cookies are some other ways I get my chocolate peanut butter fix! I spotted many decadent versions of these peanut butter brownies across the Internet, and I’ve pieced together a few recipes and added my own twist. 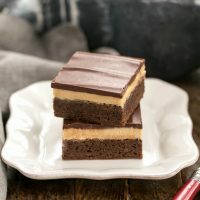 My fabulous friends from college adored these layered peanut butter brownies—they were inhaled!! These little gems are outrageously rich and delicious. If you like Reese’s, you’ll have to try a batch of these peanut butter truffle brownies. Note: These brownies were first shared in 2011. 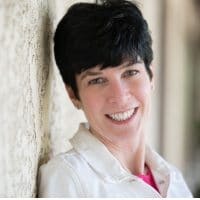 The photos and text were updated in 2019. Isn’t she a good sport??? Do you want to guess on the number of marshmallows it took to bribe her into posing? LOTS! You just can’t get too much peanut butter, that’s for sure! What a cutie that Lambeau! Is he named for Curly Lambeau? I would love to get a hold of these brownie treats! Aw! She was a good sport! Too bad she couldn’t have one of these yummy brownies as a reward. I really tried hard not to see these brownies but I’m so happy I did! Love the combo, love the look and I’m sure I’d be in heaven after eating a couple of them! looks so good and your dog is such a good sport! This brownie is just gorgeous! I could die for it! They look so so good! Anything with the name “truffle” in the title is no doubt heavenly. I like the flavor layering as well as the mix of textures. Yum! It is amazing that your dog even stayed still for the pictures-too cute! What a good sport the dog was how did you manage to get him to participate … nice so cute. I needed that smile! These would make my son Curt flip, I will have to surprise him last night made some spooky peanut butter cups, so I will have lots of leaveovers to try this one… love it! divine!!! Lambeau is a terrific sport! I’m not sure that my yellow labs would have allowed me to dress them up. And once again you have produced another dangerously good looking dessert. Your brownies sound like truffle heaven! LOL! the pics of the dog is too funny. those truffle brownies look sinful- just perfect for this sweet tooth of mine! hahahahah Lizzy you made my day with the cute pics of Lambeau, thank you so much for this. She is more attractive this time then the ganache. Happy Monday to you too and I simply cannot stop admiring and at the same having a good laugh over Lambeau. Say hi to her on my behalf. Your pup IS a good sport, mine wouldn’t take it for 2 seconds. The brownies look inviting, as always. I’m thinking.. if it’s adapted from 3 different recipes, that THIS is your recipe alone, right?! 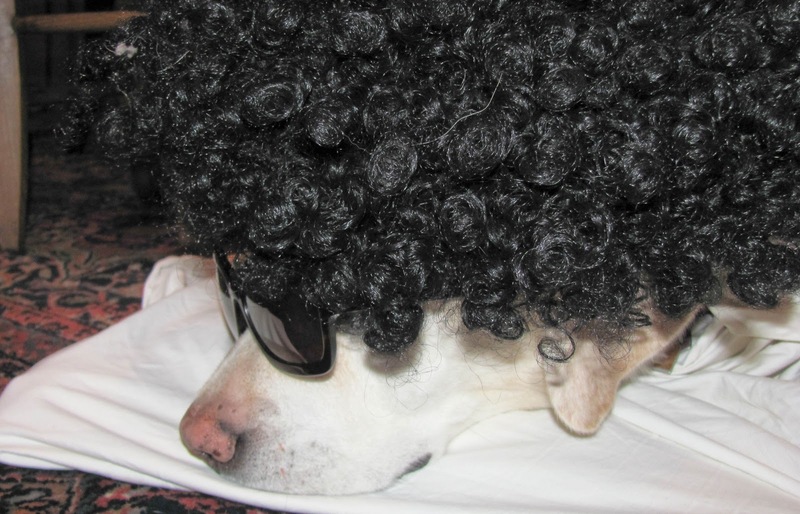 That is a hilarious costume for your dog….so creative! And these brownies…all of my favorites combined in one. They sound so decadent! I bought some Reeses when I visited Singapore back in July and couldn’t stop eating them! This brownies really look delicious! And that dog of yours, she’s cool! Oh my word! I would positively die for one of those brownies!! I love Reeses cups. Ohhhh…Lambeau is so cute! Love her costume! And my, those brownies look so delicious! I bookmarked the recipe and will definitely try it! Lizzy, these look so good1 Man I really am wanting to make up a batch! Have a great Day…HAPPY HALLOWEEN! What a GREAT costume for you doggie! Happy halloween and these brownies are OMG delicious! Love the brownies! Anything with chocolate and peanut butter is a winning combination for me! Your dog must really LOVE marshmallows! The loss of marshmallows was worth the post. 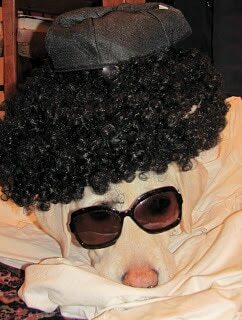 We used to try and dress up Sadie but she got horribly depressed. Should have thought of the marshmallow trick! Oh – and the brownies – yes – to the brownies to the truffle filling – to peanuts and chocolate. But beware – it’s hard to remember the brownies after you introduce us to Lambeau. These brownies sound decadent and delicious! I am sure my kids would devour them!!! I love it, your pooch is such a trooper. Too cute! The brownies look awesome…love all the three layers. Hope you have a wonderful week ahead Liz! Oh Liz, I love, love this decadent brownie…and so would my peanut-butter loving son-in-law! Lambeau is much prettier as Moammar Gooddoggi than the original!! (Love the name!) Hilarious! Thanks for sharing! Happy Halloween! Oh, I just love your doggie and that costume! Oh, and I love these heavenly brownies too!! I loved Truffles so much that when we got our golden brown Pomeranian, I named him “Truffles”. Happy sweet Halloween! What a riot and what a sport! Your lab is adorable. Love the hat, glasses and smock. Those brownies look awesome–do you think they would work with a darker chocolate? Love how Lambeau looks! 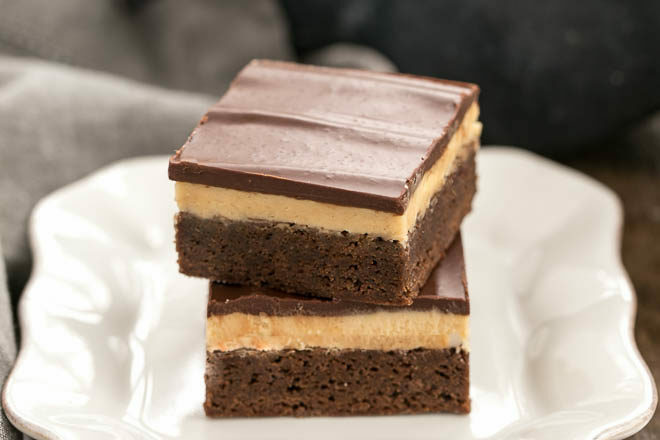 Your Peanut Butter Truffle Brownies are wonderful with all the layers of flavor, and the ganache on top, so decadent. How did you get Lambeau to wear that costume? My dog wouldn’t sit still for 2 seconds. Good dog, Lambeau! I’ll have to try the marshmallows. 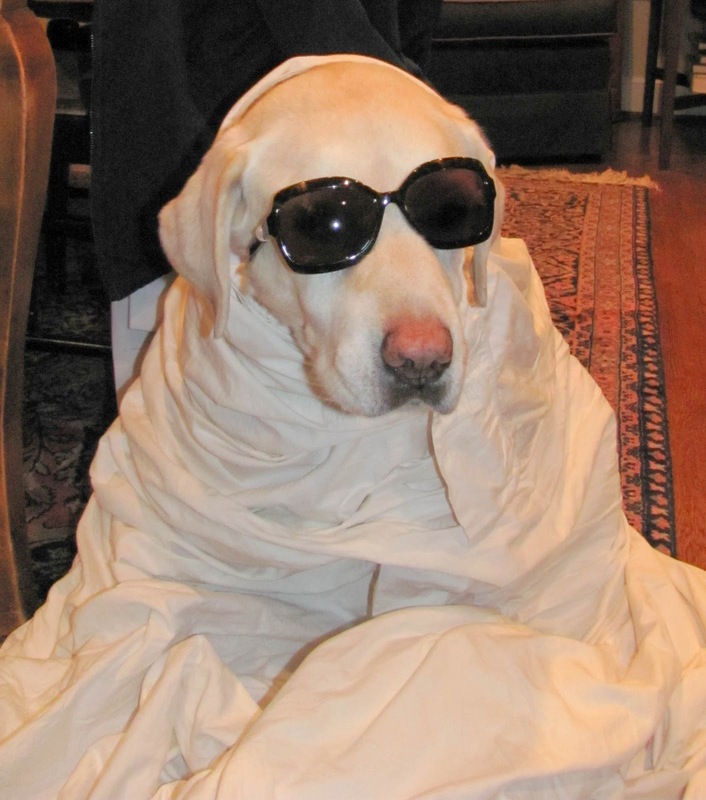 I love Lambeau…she’s always so patient, and sweet…and now, dressing her in a Halloween costume; priceless! Love your Peanut Butter Truffle Brownies. Perfect, yummy, and over the top delicious! Happy Halloween, my dear friend! Love fudgy brownies..peanut butter filling sounds terrific. Oooh the brownies looks so decadent , would lve to have a slice 🙂 . Not that it would be good for him but for posing like he did, I think your dog should get a taste of these delicious looking brownies! P.S. I can’t believe that he eats marshmallows!! These brownies look awesome, can’t wait to give them a try!! Love the pooch! The costume is hysterical. LOL!! Your doggie Lambeau (what a cool name) is so cute. Yes she’s a good sport! My 5 year old son didn’t even listen to me to wear his Warrior helmet… Yummy desserts as always! Haha, aw, your doggie is so cute! And, these bars look amazing! Those look awesome. Peanut Butter + Brownies = Heaven! Lucen impresionantes y muy original,felicitaciones,abrazos grandes hugs,hugs. Lizy, thank you for finding my x-mas gift for my father-in-law! I will be his most favorite of all this year! These are outstanding. Your dog is such a good sport! Rich and decadent – I’m sold! These sound like such a fantastic treat. These look simply divine! 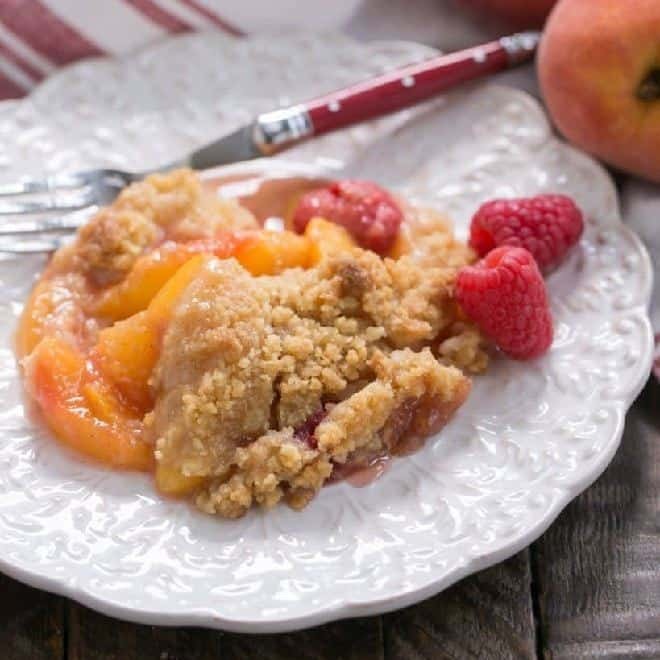 Another great recipe….. I agree: this brownies look yummy! But what size pan does one use? It’s not specified in the recipe. 9×13? 8″ square? Thanks for clarifying this. Oh, man. I am salivating at work, yet again. These look absolutely perfect! Congrats on the Top 9 today, #1!!!! Love the costumes – so adorable! Love the brownies too – they look awesome. Congrats on #1!! These brownies sure are worthy of the top spot. They look magnificent! Haha your puppy gave me a much needed laugh today. Thank you for that! Bravo on No1 and no wonder – they look fabulous, Lizzy. Amazing what I’ve missed in 2 days already. Too funny with your lovely doggie: he is definitely cool in your sunglasses. Whoa….my son would LOVE these! NY Baker…sorry for my omission! These are baked in a 9 x 13 inch pan. 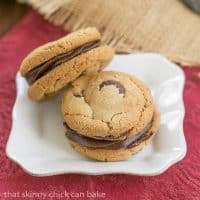 I saw these on Food Buzz and had to rush right over, congrats! I am still chuckling over your dog, I can’t decide which one is best, they are all hysterical. You are the next Wegman! It looks delicious! I have to try! Those peanut butter brownies are impressive!! They looks great and I love the photos! OK so how cute is this? Moammar Gooddigi, too funny! ANd as for the brownies… what can be said about perfection in confection? Seriously yummy, Lizzy, most well deserved Top 9! Well, there is no question whether or not I will be making these! I just love Lambeau! These sound amazing! Three layers of awesome!!! 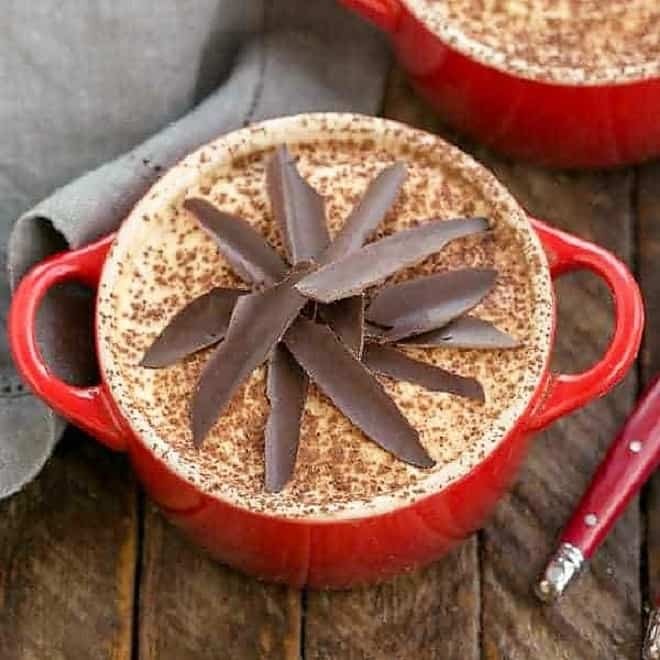 Oh my, that looks like a dream dessert – quite a bit of work but impressive. Your doggie is very patient with all the dressing up – too funny! Aw! She was a excellent sport! Too bad she couldn’t have one of these delicious cookies as a compensate. These brownies are fit for the queen 🙂 Luscious, and so tempting! Mouth is watering, can’t wait to make these again! I have been looking for a recipe close to what my Grandmother would make for my birthday. I think this one is going to be close! I’m so glad, Sarah! Hope you love them as much as we do!!! I might drive across 3 states to have one of these. Probably two. Delish! These look just heavenly! 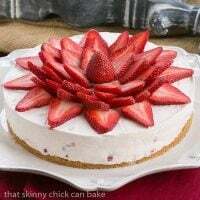 the layers look so creamy and delicious! Peanut butter and chocolate are one of my favorite combinations. If it’s in the house – it’s devoured! Lambeau looks so adorable in her costume. LOL Moammar Gooddoggi and that wig – spot on! Oh, la la, Liz! Truffles, brownies, and peanut butter, woo hoo! They look and sound delicious, perfect for Valentine’s Day! Happy Day to you and thanks for the recipe! Bring on the truffle brownies, these look heavenly! No heat when I got home, boiler acting wonky… SERIOUSLY need one of these brownies!!! And aw, the pics of Lambeau make me smile:@) Need an Izzy update! PB and chocolate for the win! These bars are stunning. I would not be able to stop at 1! These brownies look amazing! Reese’s pale by comparison. Oh my,vI might have to invent a moment to make these! We have plenty of Reese’s lovers in our house! And it was so nice to see Lambeau again. Bittersweet, I know. I’m a Reese’s Peanut Butter Cup fan so these work for me. Oh my, I think I would become addicted to these beauties. 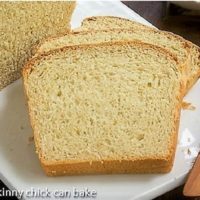 This wonderful recipe takes me back to FoodBuzz!